The Pan African Film and Arts Festival (PAFF), America's largest and most prestigious Black film and arts festival, hosted the world premiere of Blood Done Sign My Name as their Opening Night feature presentation. Blood Done Sign My Name , which opened nationally on February 19 th from Paladin, stars Nate Parker as notable Civil Rights activist Dr. Ben Chavis, along with an ensemble cast that includes Lela Rochon, Omar Benson Miller, Afemo Omilami, Golden Globe- winner Ricky Schroder, Nick Searcy, Michael Rooker, Darrin Dewitt Henson, and Gattlin Griffith. The film is an adaptation of the best-selling book by Timothy Tyson and is written and directed by Jeb Stuart. 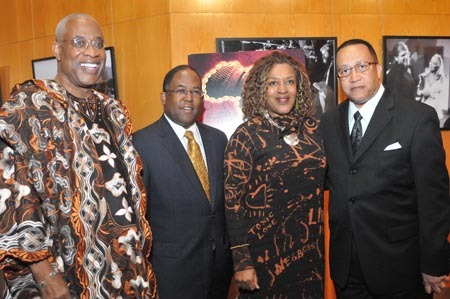 The event was hosted by award winning actress CCH Pounder (Avatar, Brothers) on Wednesday, February 10 at the Directors Guild of America in Los Angeles, CA. 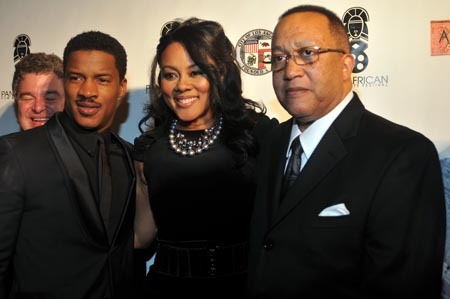 PAFF's Opening Night Gala is one of the most glamorous red carpet Hollywood film events that attract Hollywood A-list celebrities and kicks off one of America's largest Black History Month events. For more information, please visit www.paff.org.